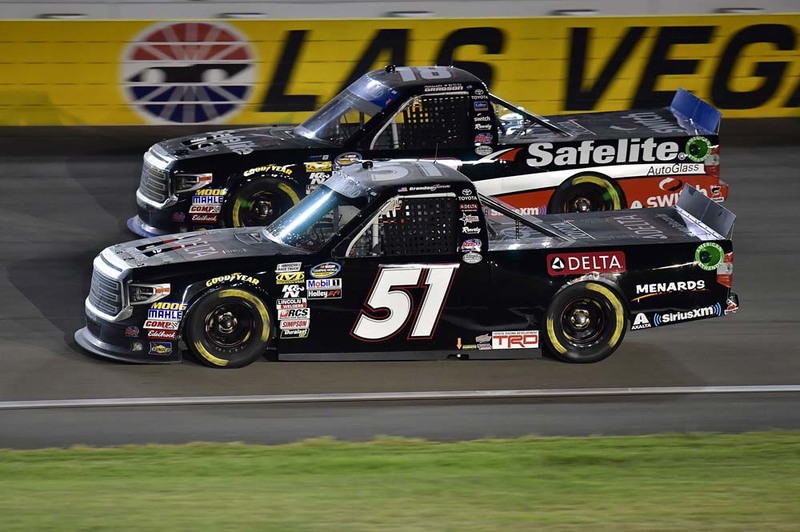 Brandon Jones made his fifth and final NASCAR Camping World Truck Series start of the season for KBM Friday night at Las Vegas Motor Speedway. He was hoping to end his night in Victory Lane with his No. 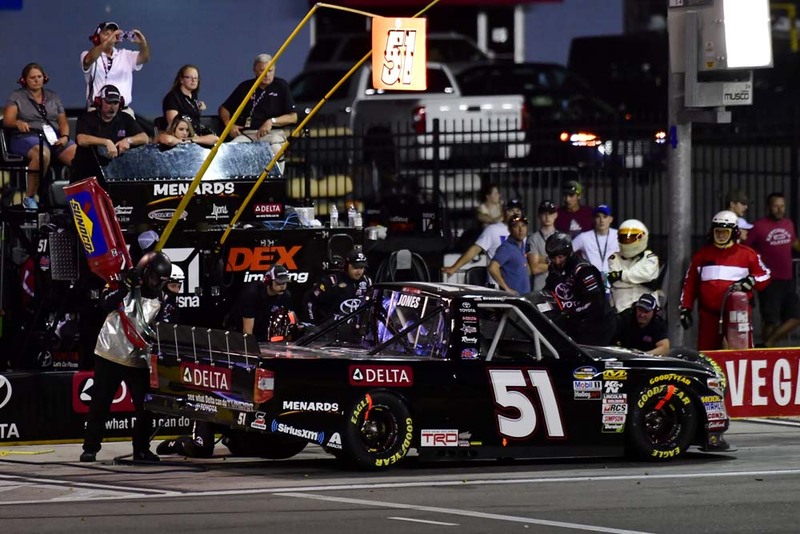 51 Delta® Faucet/Menards Tundra, but instead was parked in the garage before the race ended with a 26th-place finish. Jones started seventh and was up to third after the first caution of the race on lap five. He was fifth when the first 30-lap stage ended. His KBM team brought him to pit road on lap 33 for four tires, fuel and an air pressure adjustment to help the handling. Jones was sixth to start the second stage. With 10 laps to go in the stage he was fifth, but lost some track position to finish ninth in Stage Two. He came to pit road on lap 63 for four tires, fuel and a wedge adjustment. He was 11th to start the final 74-lap stage. Racing was tight and Jones was shuffled back to 15th, but a caution on lap 84 gave him the opportunity he needed to pit for right-side tires and a track bar adjustment to free up his Tundra. He was sixth when the race resumed on lap 90 and was up to fifth 20 laps later. While still in fifth, he radioed to the team that he felt like the engine was blowing up. Without wanting to do further damage, he came to pit road for the team to check under the hood. He was told his night was over, leaving him in 26th place. What happened that ended your race tonight? Grant Enfinger won the race followed by Johnny Sauter, Justin Haley, Ben Rhodes and Matt Crafton rounded out the top-five finishers. The race featured 11 cautions for a total of 47 laps. There were 21 lead changes among nine drivers. 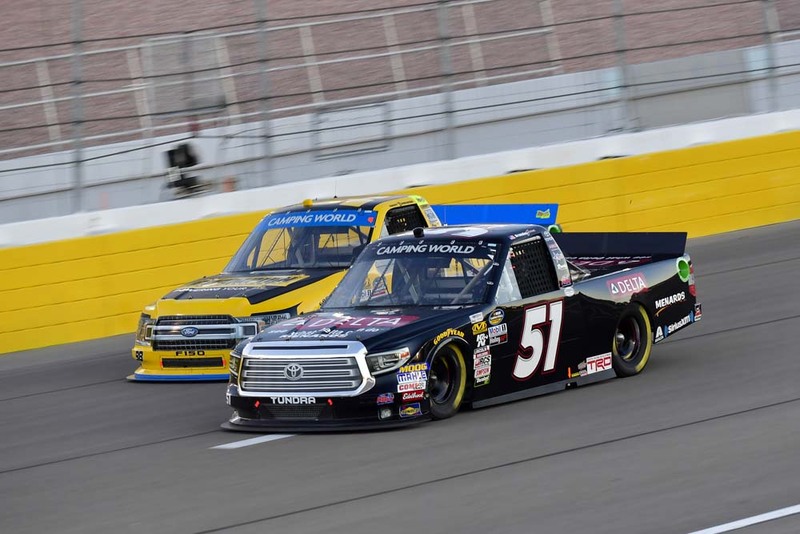 KBM’s Noah Gragson led 33 laps and Todd Gilliland led five. The No. 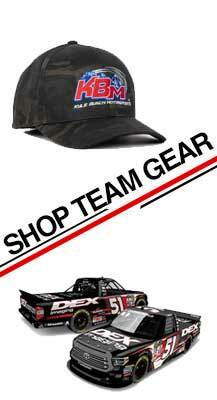 51 team is eighth in the Truck Series Owner’s Championship Standings, 64 points out of first. David Gilliland will be behind the wheel of the No. 51 Tundra when racing action resumes in three weeks on Saturday, Oct. 13 at Talladega Superspeedway. Live coverage of the race begins at 1 p.m. ET on FS1.